Before beginning, it’s important to note that Mourvedre is a remarkable grape varietal. You may also know it as Monastrell, originating from Spain. It’s not an incredibly popular grape like Cabernet, Merlot, or Pinot—rarely will you see it without sisters Grenache and Syrah blended in (Cinsault and Carignan, too), but it’s easily a favorite, especially bottlings from producers in the South of France where Mourvedre grapes made famous the Bandol appellation in Provence (today, all Bandol reds must be at least 50% Mourvedre, similar to Bourbon’s 51% corn requirement in the U.S.). It remains a staple among numerous excellent Rhones and affordably priced Languedoc-Roussillon wines scattered along the Gulf of Lion. But to ascribe praise on a grape alone, these days, is borderline blasphemous. It takes seasoned pros to extract excellent juice from fruit. Enter Withers Winery. The California Sonoma Coast winery is known for producing “mouthwatering lush and rich” wines off the Mourvedre grape. It’s readily drought-stricken in California, so it’s not surprising to find an esteemed indie producing proper Mourvedre in The States—the grape relishes dryness where others do not. Admittedly, we’ve yet to try the amazing Withers wine, but after sampling a Belle Meade 10 year Bourbon finished for 148 days in a Withers Mourvedre cask, it’s game on. Please, Withers away. Apparently, Withers owner Andrew Tow was a fan of Belle Meade Bourbon in the early days, so when he sent Belle Meade owners and brothers Andy and Charlie Nelson that Mourvedre cask, they all knew magic was about to happen. Obviously, we’re all a little late to their party, but this bourbon is completely stunning. We’re pleased Withers’ Tow and Nelson bros took this grape to task. Pouring Belle Meade Bourbon Mourvedre Cask Finish is as delightful as pouring fine wine—something not often experienced with stronger spirits. Appreciating the color and legs was totally transportive. Magical. The mind immediately flooded with scenes of old Tennessee (at least what we believed them to be). Pretty much never seen something so impressive in whisky, pouring a beautiful rust color that conjures Model T Ford, gramophones and the world’s first LPs. Fresh out of the bottle, this whisky is emotive and moving. (This speaks volumes to the quality of Belle Meade juice in general). On the nose, there’s a hint of fuel and fireball, suggesting what’s inside will ignite the senses (it’s bottled at 117.8 proof). Inviting! There’s cask (cedar-like) and caramel (caramelized sugar) and straw. Absolutely delightful, even if it seems it might burn enroute. It doesn’t. It absolutely dances on the tongue. Actually, it does stick a dagger in first, then the victory dance—totally feels fine. Glory be this beverage and its triumph over ordinary. It’s incredibly complex, subtly sweet and savory in all the right ways. As the first Green Brier Distillery whisky we’ve ever tried, one wonders why they would need to produce anything else, however certain it is Withers’ casks are in short supply…and the Mourvedre “brand” most definitely dissuades the Francosphere resistant from trying a sip. 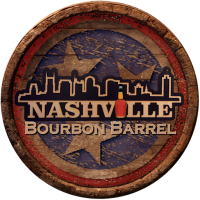 Nonetheless, this delightful bourbon is a chorus of tasting notes—honey glazed slow and low bbq pork rib, buttered corn and bread pudding, the famed Santa Rosa plum, fennel, licorice, blackberries with hints of apothecary herbs—evoking post-Prohibition struts down Beale Street, taking in Louie, B.B., Muddy and the late greats as they belt the Memphis Blues. Finishing spicy, woody, with caramel, leather and more, it lingers long enough to beckon the next sip—no matter your level of patience and determination to make the bottle last forever. As it should. But, can you actually unearth a bottle of this elegant, rustic gem? Probably not. Grab some if you can, at any price. Only 288 bottles were ever made as part of Belle Meade’s ongoing Craftsman Cask Collection. This is one of the finest representations of American Whisky there is and deserves a cult following the world over. And while it’s an apples and oranges comparison, with every 4 and 5-star hotel bar displaying the indomitable Macallan 12 or 18 on the menu, we’d all be better travellers if it were Belle Meade Bourbon Mourvedre Cask Finish instead. With California’s persistent hot, dry summers, we can only hope those Withers Mourvedre casks magically multiply. Until then, we’re peeled for Belle Meade’s next special release.